Bi Visibility Day is Sept. 23, 2017, so to kick off the festivities, I have a new “Ask a Bisexual” for you! Ask a Bisexual is an ongoing series of posts about bi-erasure and bisexuality, the attraction to two or more genders. In today’s piece, I’ll be discussing monosexism, cissexism, and visibility in Evan Urquhart’s piece “After Transitioning, I Want to Blend In. But My Lesbian Wife Still Wants to Be Out.” You might notice the slug in the URL is “how can queer couples be out when they look straight?”, which is exactly the point I want to address: How can they be out? Why, just ask a bisexual! 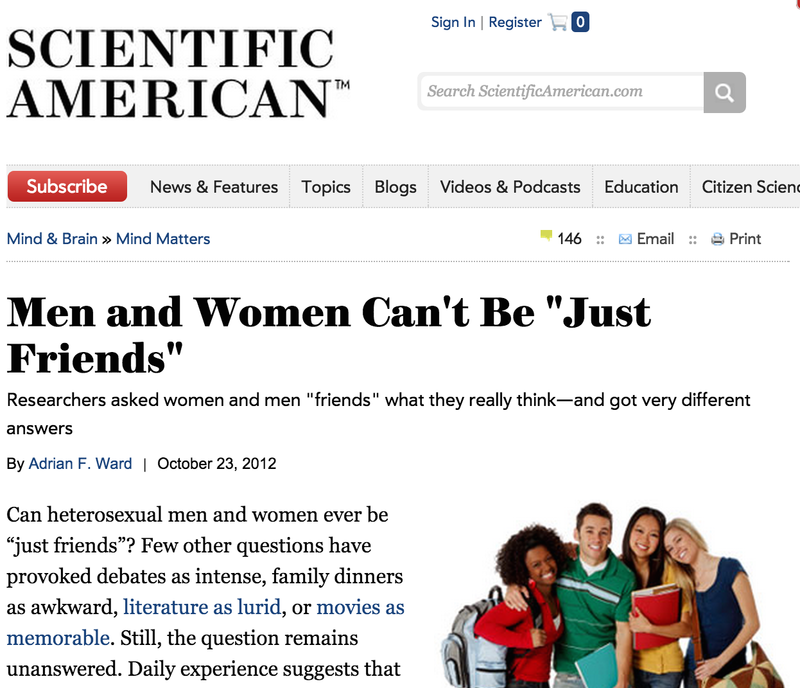 In this Feminist Friday post, I’m going to discuss bi1 erasure in social science research and news coverage. It’s bad enough having to do the closet hokey-pokey literally every single day of my life2, but when heterosexual/monosexual/cisgender social scientists and writers decide to pointedly ignore non-monosexual folks or write their thrilling conclusions about our personal lives without our input3, it very much affects us. Edit: WordPress was supposed to embed posts from tumblr and didn’t. The head image is from this post. Welcome back, readers! I’m hosting Feminist Friday again this week. Last week, we talked about the gender segregation of bath products. This week, we’re going to discuss two specific techniques of advertising directed at women consumers. First, we’ll be hopping back into our time machine to look at the “shaming” technique circa 1930-1960, and then we’ll return to the present (mainly 2010-2014) to look at attempts to use “empowerment” to sell goods to women. I’m hosting Feminist Friday again this week. Same bat-time, same bat-channel. We’ll be discussing using shame as a tactic to advertise toward women in vintage ads in comparison to the newer (but still problematic) method of attempting to use feminist narratives to market consumer goods to women. The Feminist Friday discussion went so well last week, Leah’s decided to give it another go at The Lobster Dance. Do stop in tomorrow and check out Leah’s post, especially if you enjoyed last week’s discussion or are interested in the implications of marketing for gender inequality. Readers, I am excited to be hosting the Feminist Friday discussion for Part-Time Monster and Sourcerer this week. Get your Axe ready, because we’re going to talk about the gendered marketing of bath products! Hi, readers! If you haven’t been following Feminist Friday on Sourcerer and Part-time Monster, check it out this Friday right here on The Lobster Dance. We’re going to discuss gendered marketed toward adults, especially product segregation by gender. We’d love to have you, my regular readers, join in, too! Leah of The Lobster Dance has graciously agreed to host the Feminist Friday discussion this week. The topic: Gendered Marketing aimed at adults. I couldn’t be more thrilled that Leah’s offered to host. If you want to know why I’m saying that, check out this piece she wrote at I’ll Make It Myself last month about pointlessly gendered food blogging. You’re welcome to join us (and to chime in if you’re feeling chatty on Friday). Leah’s post will be the eighteenth of these discussion threads we’ve posted since we started them in March, and The Lobster Dance will be the seventh blog that’s hosted. I can’t tell you how happy that makes me. All previous installments are archived here.